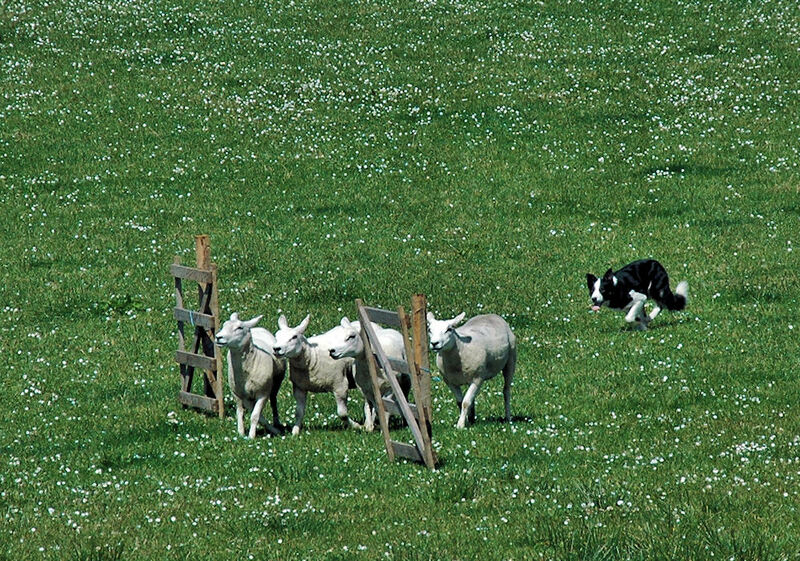 An impression from sheepdog trials at Whin Park near Bridgend, the dog herding the sheep through the gate as expected. This entry was posted in Landscape, Repost, Sunny Weather and tagged Bridgend, Islay, sheep, sheepdog by Armin Grewe. Bookmark the permalink.